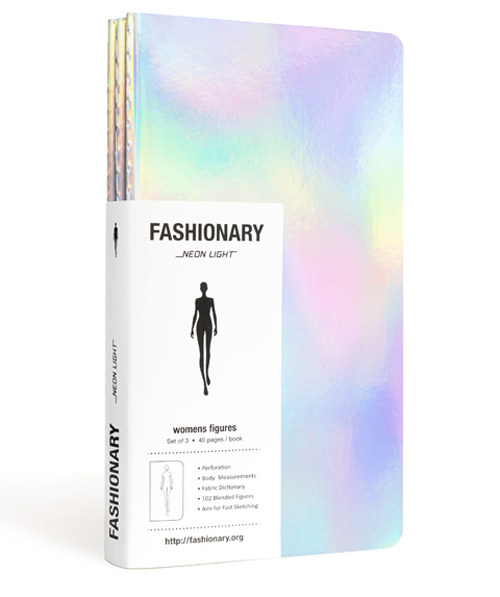 The name ‘FASHIONARY’ comes from ‘Fashion + Dictionary + Diary’. 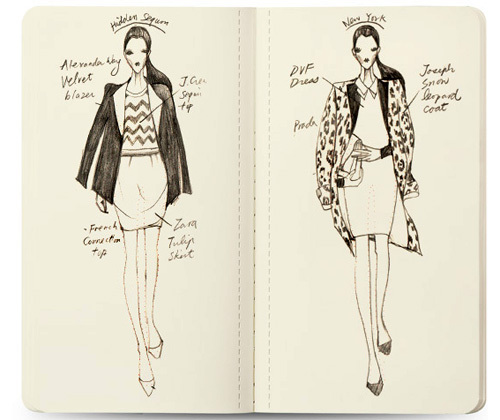 This sketchbook is combined with extensive fashion information and blended figure templates. 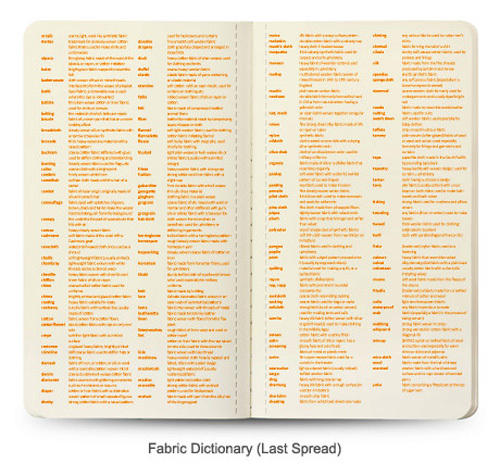 It is the perfect tool for brainstorming, fast sketching and quick referencing. Unlike the traditional templates, the blended templates are formed by dotted line and are barely visible; you can draw on the templates pages like you do on blank papers. The Fashionary Mini is designed for handy sketching. 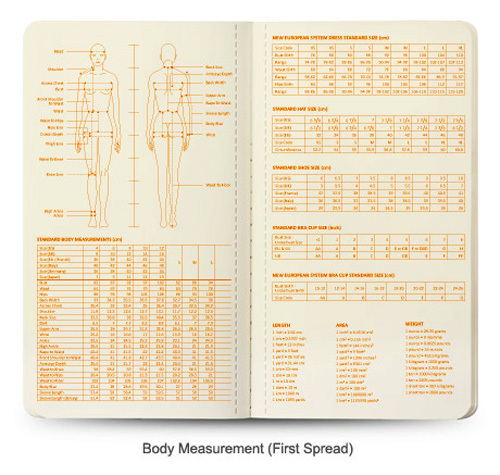 It shares the same size of figure template as our A5 sketchbook. When comparing with normal pocket size notebook, the mini contains 12% more space for sketching. 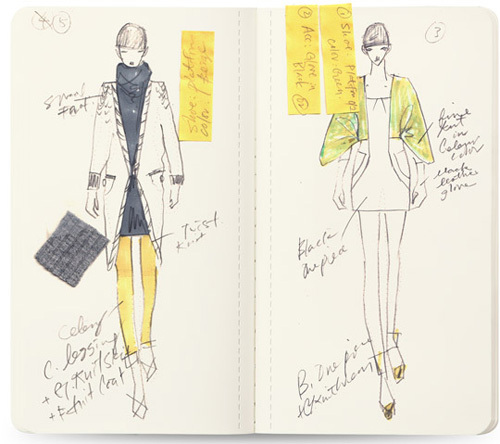 This sketchbook is combined with extensive fashion information and blended figure templates. It is the perfect tool for brainstorming, fast sketching and quick referencing. Unlike the traditional templates, the blended templates are formed by dotted line and are barely visible; you can draw on the templates pages like you do on blank papers. Perforation is on each page of the sketchbook for putting your sketches anyway as easy as possible.